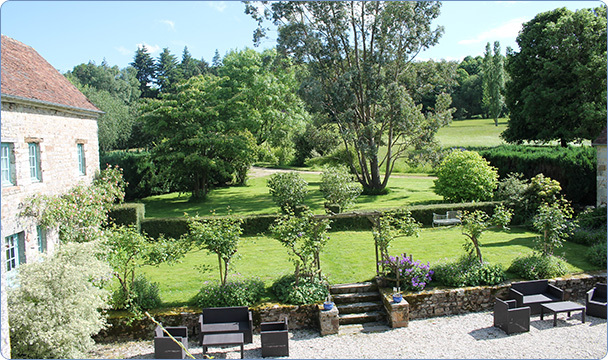 Belle Vallée is set in 18 acres of woodland, fields and gardens. 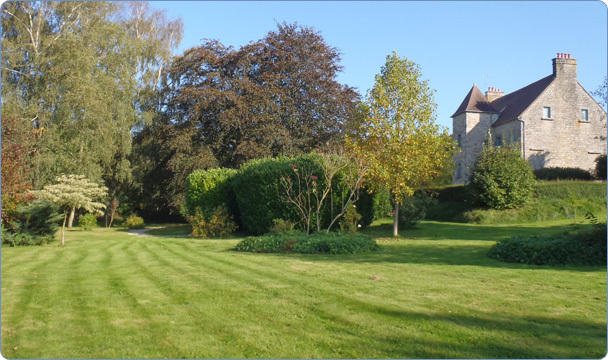 The garden around the house extends to two acres and is divided into different sections - herb, orchard, vegetable and parkland. The garden features a multitude of plants, especially roses, geraniums and wisteria. 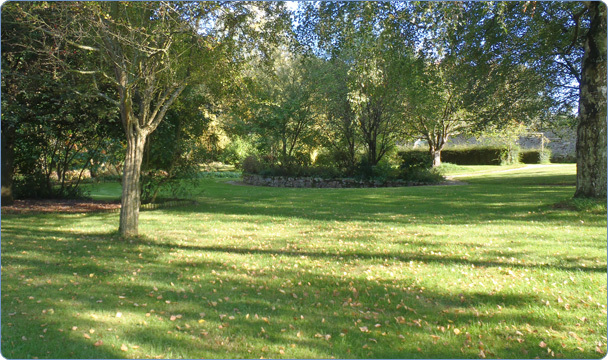 The trees are mature and individual - tulip tree, American oak, Indian bean tree, eucalyptus, copper beech, genko, cherry, walnut and of course apple and pear. We love our visitors to walk round and enjoy the gardens.